This sign is for Wil Flo Motor Oil. The sign’s colors are blue, white and red. 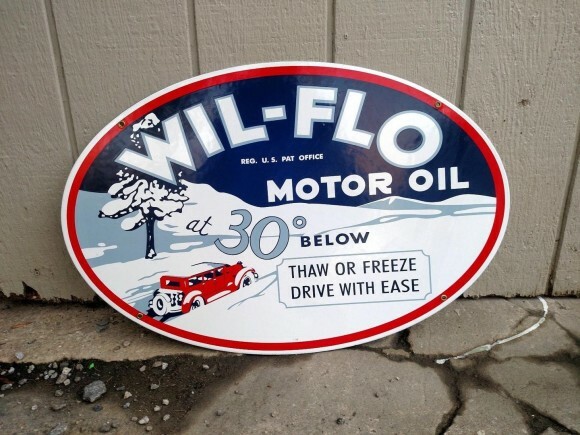 The text on the sign reads: Wil Flo Motor oil at 30 below thaw or freeze drive with ease. The sign shows a car in the snow surrounded by text.